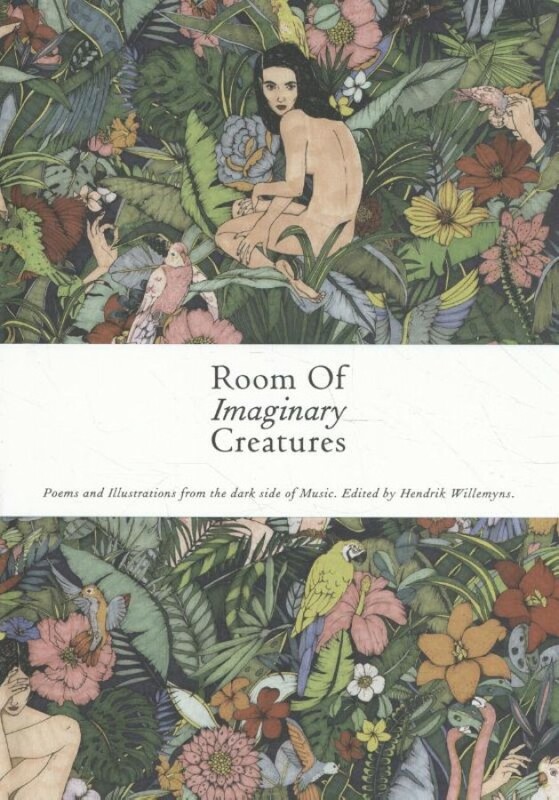 'Room of Imaginary Creatures' is a book of poems written by musicians and poets taking the point of view of a prostitute. A bestiary describing customers, lovers, situations. The illustrations, like the poems, were contributed by people from all over the world. Hendrik Willemyns is a Belgian musician (ARSENAL) and filmmaker (Dance Dance Dance) who in his work researches the dark nature of music. 'Room of imaginary Creatures' is his first book and part of a greater project encompassing the Arsenal album 'In the rush of Shaking Shoulders' (2018) and the film 'Birdsong', which will be released in sync with the book. The soundtrack of the film will be available only through this book.